A Barn Owl at The Oak Tree! 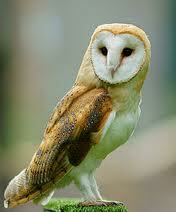 During the working party today Stuart and I saw a Barn Owl at The Oak Tree Farm! Great news as we are hoping to have a couple of Barn Owl boxes installed on the big oak trees at the top of the farm in the next few weeks. The photo is from Wikipedia, not the farm, by the way! This entry was posted in general news, wildlife and tagged barn owl. Bookmark the permalink.